'Perfecting Sound Forever': A History Of Audio In his book, Perfecting Sound Forever, Greg Milner explores the evolution of sound. His history covers the analog days of Thomas Edison through the present day of digital recordings, and the quest for sonic perfection. 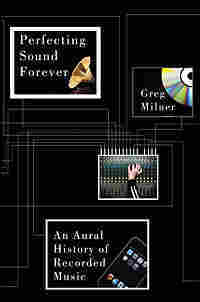 In his book, Perfecting Sound Forever, Greg Milner explores the evolution of sound. His history covers the analog days of Thomas Edison through the present day of digital recordings, and the quest for sonic perfection. Technological advances have complicated the debate about the value of the most accurate reproduction of a sound, versus the most enhanced. Whereas Edison set out to perfectly capture a live performance, today's sound engineers have the ability to create recordings from musicians who aren't in the same room — or aren't even alive at the same time. Milner takes the reader through major breakthroughs and massive failures in recording history. 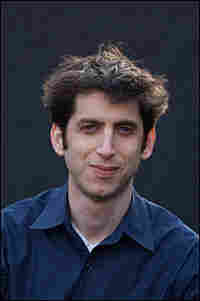 He also digs into specific recordings from Lead Belly, the Beatles, Mission of Burma, Steve Albini and Massive Attack. Tell us: How far do you go for great sound? Which do you prioritize, the sound of the recording or its portability? Listen to the TOTN podcast. Sign up for the newsletter. When a sound wave is generated, the mass is the air itself — or rather, the billions of particles that comprise the air — and the elasticity is the natural tendency of the particles to return to a stable position. These are the characteristics of any sound wave, whether caused by the big bang or by John Bonham's drum intro to Led Zeppelin's version of Memphis Minnie's "When the Levee Breaks." Those two particular sounds are alike in other ways: they are both epic and epochal, and each has been cited as evidence of the hand of God (and in Bonham's case, also His right foot). The latter is easier for us to conceive (though nearly as unlikely to ever be repeated), so let's examine the work performed by Bonham, and its effect on us. You are very lucky. It is sometime in the early seventies, and you are at a mansion in the English village of Headley. The members of Led Zeppelin are here to make their fourth album, and they have invited you along to watch. Today they will record Bonham's drum part for "When the Levee Breaks." The band wants Bonham's drums to have a booming, reverb-heavy sound. (This is an unusual choice for the time, since the trend in records is toward drums that sound dry, with little resonance.) To achieve the desired effect, they place the drums at the bottom of a stairwell, with the microphone hanging three stories up. You are in the stairwell, a few feet away from the drums. The only person who will be closer to the sound is Bonham. The engineer announces that the tape is rolling. Bonham counts off the rhythm and then slams his foot down on his kick drum's pedal to begin the beat. Let's freeze time at this exact moment and analyze the next 1/30,000th of a second, roughly the amount of time that elapses each time our hearing system takes a reading. What exactly is happening? The pedal causes the mallet to strike the kick drum with a force that only Bonham, it would seem, can generate. The skin of the drum impacts the air particles around it. There are a lot of them — 400 billion billion just in the cubic inch around the area where the mallet has hit. Like any other sonic source, Bonham's drum has caused a disturbance in the air. The particles are very disturbed. They're rocking — literally. Imagine each attached to its own spring mechanism. The first particle to be impacted is knocked off its unique and stable position in the universe. It swings forward, and then is pulled back by its spring. It overshoots its original position on the way back, is pulled back again by the spring, and attempts to find its original spot. Its initial surge forward has thrown it up against the particle next to it, and that particle begins the same process. There's real slapstick comedy here — particles all knocking one another out of place like circus clowns. We'll follow the wave into one of your ears. To understand what happens next, we need an understanding of some of the properties of waves. Every wave has an amplitude and a frequency. The amplitude is a measure of the power of the wave, the degree to which it disturbs the medium in which it propagates. For sound waves, that medium is air, so amplitude corresponds to the pressure changes the wave causes in the air. We perceive amplitude as volume. The relationship isn't linear — that is, we can't simply say the greater the amplitude, the louder the sound — but for now, just think of the amplitude of a sound wave as an expression of soft and loud, usually expressed in a unit called the decibel (dB). A wave's frequency describes the time it takes to complete one cycle of vibration before beginning to vibrate again. The frequency of a sound wave corresponds to its pitch. A low frequency sounds like bass, a high frequency sounds like treble. Frequency is denoted in cycles per second, or hertz (Hz). (Groupings of a thousand cycles per second are often expressed in kilohertz, or kHz.) Thus the lowest sound human beings can hear, 20 Hz, is caused by a wave that vibrates back and forth 20 times in one second. The upper limit of human hearing is 20 kHz (though for most people it is much lower), caused by a wave that vibrates 20,000 times in one second. For the purposes of this book, think of the amplitude as the "height" of the wave, a measure of its power, which we perceive as volume; and think of frequency as the wave's "width," the distance it travels back and forth when it vibrates, which we perceive as pitch. The inner ear is barely the size of a grape. Within it lies a snail-shell-shaped organ called the cochlea, filled with fluid and bisected by a membrane that varies in length from half a millimeter on one end to 1/25th of a millimeter on the other. The vibrations from the stirrup displace the fluid. The way this fluid is displaced allows your auditory system to determine loudness and pitch. Bonham's vibrations begin to become something we can understand, thanks to thousands of hair cells in the cochlea that make synaptic connections with the auditory nerve. As far as you are concerned, Bonham's blast is no longer a wave. It is now a series of electrical impulses. The nerve endings of the auditory nerve interface with various cells, which eventually connect to a part of your brain called the medial geniculate body. From there, nerve fibers carry the signal to the auditory region of your cerebral cortex. It is here, after this arduous journey of vibrations begetting more vibrations and then finally electrical signals, that the sound of Bonham's kick drum finally becomes "real" to you. When his stick slams down on the snare, and his foot makes the kick drum thunder once more, and his other foot and other stick work the hi- hat cymbal to tie it all together, your brain starts to hear that distinctive rhythm that changed music forever. Soon, your brain will send an urgent message that says: You've never heard a human being make a sound like this before. Excerpted from Perfecting Sound Forever by Greg Milner, © 2009. Published by Farrar, Straus and Giroux, LLC.